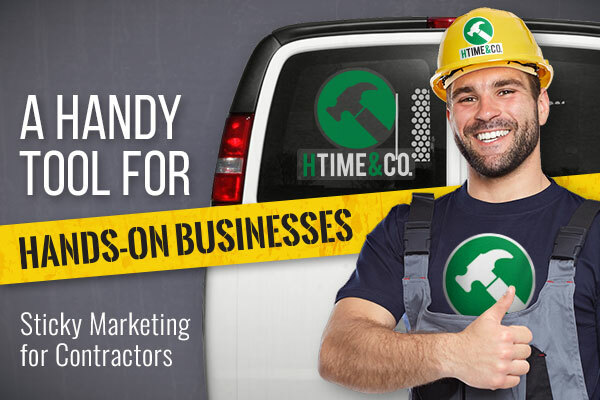 Hey plumbers, electricians, HVAC specialists, roofers, welders, construction workers and more! We know you're good with your hands, but here's one handy marketing tool you need to grasp: the power of stickers. Now on StickerYou.com, you can find everything you need to effectively and easily market your business. 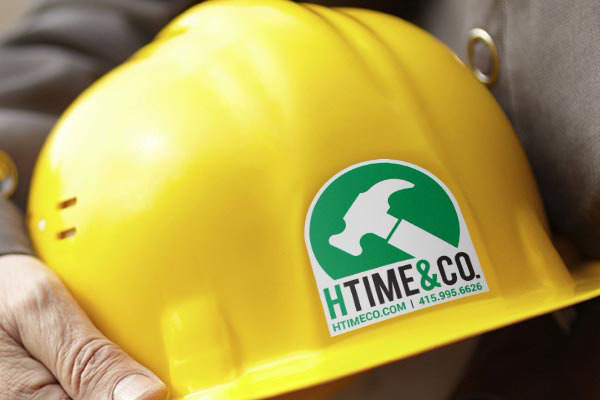 Just check out our Contractors section to find everything you'll need. Equipment Branding: Your tools and equipment provide the perfect opportunity for getting your branding in front of people and creating a very cohesive looking work crew or team. If all your gear is branded with your company logo or information, then it will give you a more professional look and instill faith in your services. Not to mention all your equipment will be clearly labelled should you ever be working on a large site. Permanent stickers work perfectly for this as they are waterproof, abrasion resistant and fade resistant. Vehicle Branding: If you have an unbranded service truck or van, you are missing an excellent chance to get your branding in front of potential customers. You have to be on the road anyways, so why not stick up your logo and contact info on the back of your vehicle and generate some business along the way? 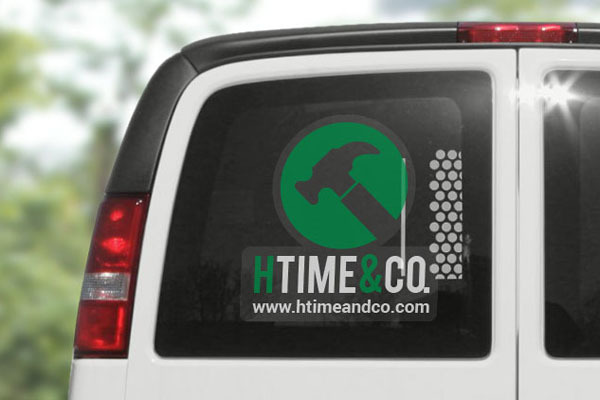 Custom window decals or car decals are waterproof, durable, and will give your company more visibility among your market. Window clings are another option if you are looking for something less-sticky. Window clings are removable and reusable, so just stick in place when you're on a service call, and remove when you're not. Panel Stickers: After a service call, repair, or maintenance check, give your customers something with your business information so they know how to contact you again in the future. A great option for this is custom stickers. Stick them up on the panel or equipment you serviced or installed. Your information will be readily available next time something goes wrong. Perk: It will likely stay there, even when the customer moves, so the next owners will know whom to call. Custom printed labels from StickerYou come in a variety of material and adhesives, so you'll be able to find a product that fits your branding and application. Location Branding: If your business has a storefront, an office, or a shop, adding a custom wall decal or vinyl lettering is a great way to add decor while also getting your branding in front of customers. Custom wall decal apply easily to any smooth surface, but are also removable should your business move. Excellent for anyone leasing space, or growing companies. Also works as signage for promoting short term events, sales or providing information. Clothing Branding: Unified clothing is a great way to present your team. Getting custom made clothing with your company logo or information can be expensive. 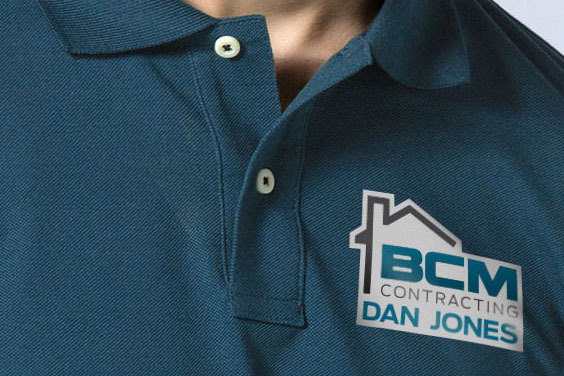 Custom iron-on transfers, however, are a relatively inexpensive and easy way to brand shirts for your staff. The permanent iron-ons adhere fast to clothing so they last through the washing machine and dryer. You may not require your team to wear uniforms, but we hope they are at least wearing protective gear, which is another opportunity for getting your branding out there. For other great ideas on how you can make your hands-on business stick in the minds of your customers and keep them coming back, check out the rest of our high-quality products.